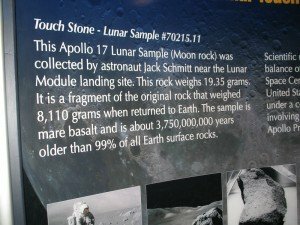 I went to a NASA display of a moon rock and a lady said, “This Moon-rock is 3.75 billion years old!” Guess what I asked for the first time ever? Actually, Emma, age 9, asked a bit more, but I just copied what she typed for you. She was VERY excited to share it with you, since she's been blessed to hear your teachings through your kids DVDs and Kids Answers. I found it all quite interesting myself. We went to a portable moon-rock display from NASA here at a local festival in South Carolina. 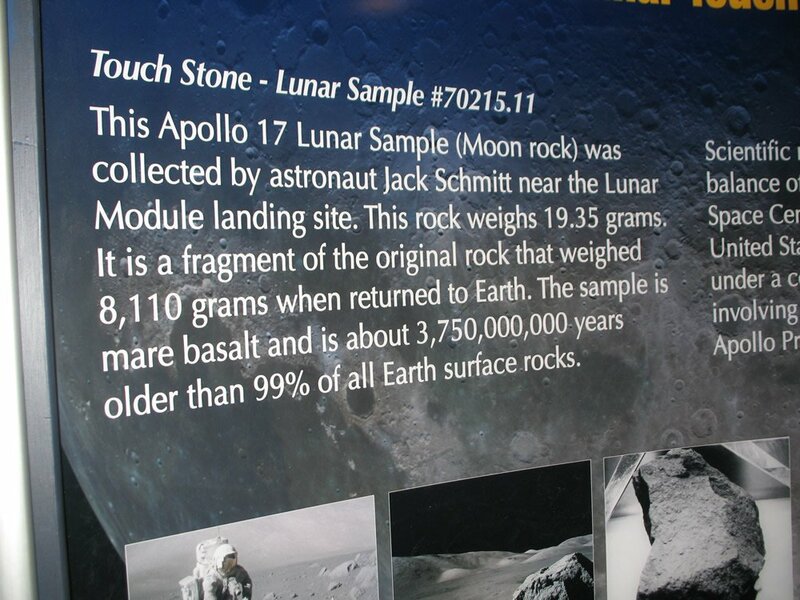 What I found strange was what seemed to be the MAIN point when we walked into the display is the presenter kept saying, "This moon rock is 3.75 billion years old!". . . . I have no idea if she actually worked for NASA, or was a volunteer. 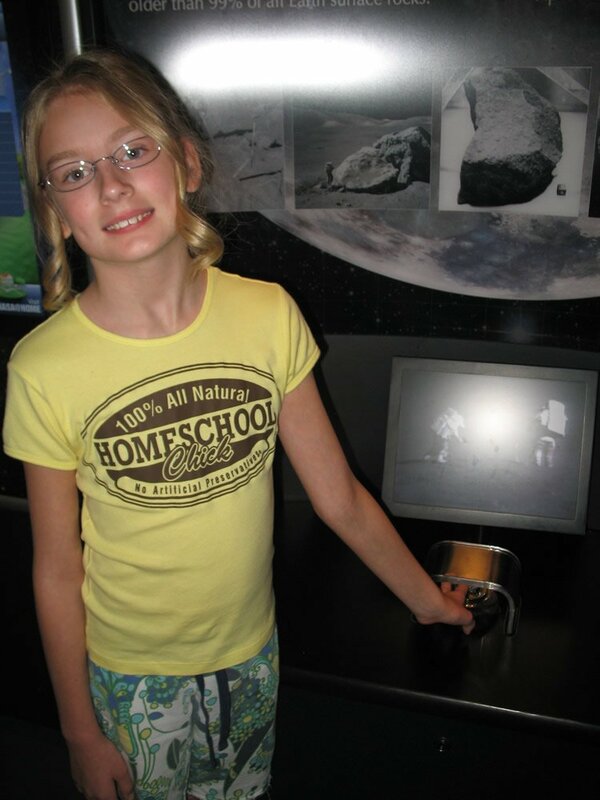 But, Emma proceeded to answer that she thought the moon rock was probably around 6,000 years old, after the presenter asked her how old she thought it was then since she didn't believe it was 3.75 billion years old? Then the rep asked Emma how she came up with that? Emma answered, "The Bible. If the earth was made around the same time as the moon, wouldn't they be the same age?" Emma answered. Then the rep replied, "Oh, yeah I believe in the Bible too." But, in the same breath said "Scientists have proven this...yada, yada, yada, blah, blah...."
...and the 3rd one was what was in the exhibit in case you wanted to see it. 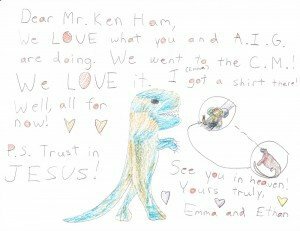 Each time I give examples in my blog posts of children who have been influenced by AiG, the atheists go ballistic on their blogs. They hate to read of instances like this. They want to teach these children there is no God and they are just animals in this hopeless and meaningless struggle of this purposeless existence. 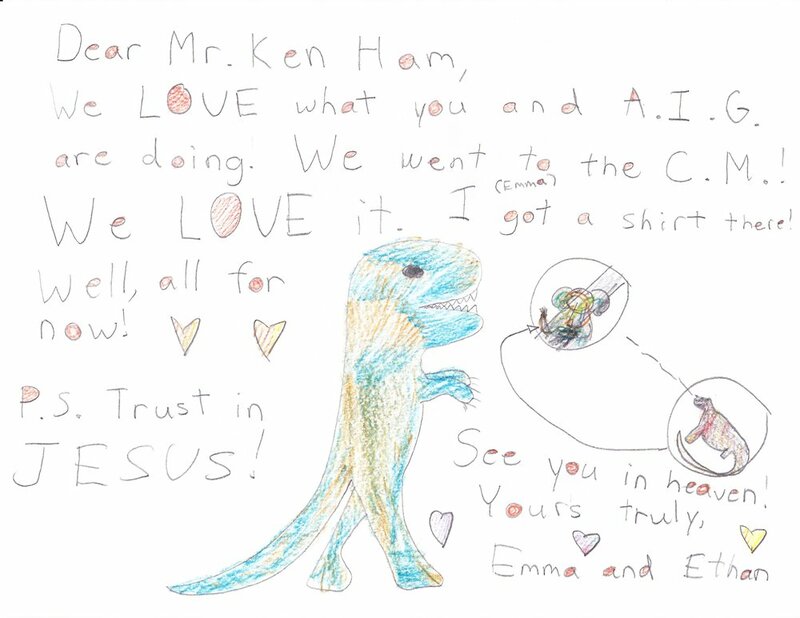 Praise the Lord, Emma has such a strong foundation in God’s Word and won't fall for the atheist lies in their attempts to shake their fist at their Creator God. Yesterday our first stop was on the rocky beaches of Fernandina, the youngest island in the Galapagos. It is home to one of the largest populations of marine iguanas. When we arrive in the morning it is low tide and we can actually see the iguanas eating algae off the rocks. Within a short time of our arrival the tide begins to come in and a mass exodus of marine iguanas begins, swimming toward shore. The ocean becomes spotted with their little black heads! Our naturalist tells us they arrive on the shore exhausted and must warm up and rest a while before they travel further inland to avoid the rising tide. We also see some massive male marine iguanas heading out into the ocean. We are told that they are large enough that they can go out at high tide and dive deep where the algae are more abundant. As we walk along the shore, we have to be careful not to step on the iguanas that blend in so well with the black lava rock. The lava fields we walk on are amazing, filled with all different shapes and structures including small lava tubes, ripples, cracks, and gravel-size rock. Because the island is young, the vegetation is limited, and this is the first place we spot lava cacti. Our naturalist informs us that they are one of the first invaders of the lava and make way for other plants to grow in the future. Visit Georgia’s blog post to read more and see some photos from her trip.